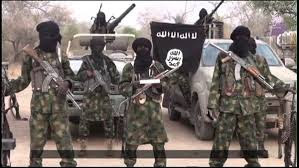 Unidentified gunmen on Thursday invaded the Tsafe Command of the Federal Road Safety Corps, FRSC, in Zamfara, killing an official, a witness told the News Agency of Nigeria. 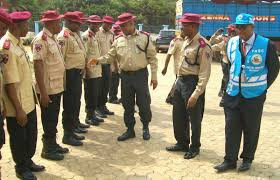 The source said the hoodlums numbering over 20 stormed the premises of the command on motorcycles at about 10 a.m. and opened fire on the FRSC personnel. “There was confusion as sounds of sporadic gunshots rented the air, while the road safety officials around scampered for safety in different directions. “However, one of the officials was unlucky as he was shot and killed by the attackers,” he said. According to him, one of the gunmen was killed by soldiers who quickly mobilised to the scene, while the rest escaped into the bush abandoning their motorcycles. The FRSC Public Education Officer and Spokesman, Bisi Kazeem, confirmed the incident. “It is true that our command in Tsafe, Zamfara, was attacked this morning. “A Deputy Route Commander of the FRSC was killed by the hoodlums while other staff escaped with one still missing,” Mr. Kazeem told NAN. He said the Police and the Army had taken over the matter. According to him, the Corps Marshal, Boboye Oyeyemi, has condemned the “unprovoked” attack but sued for calm among officials and the general public. “He is confident that both the police and the army will bring the perpetrators to justice.